Hi there my friends! I have some exciting news to share with you today. I've been stupid busy lately with work and stamping and just life in general, but things are going to get way more fun in a few more days. If you've been hanging around me for any length of time, you may know that I have been dreaming of quitting my full-time job and going full-time Stampin' Up for quite some time. Well guess what? That day has arrived! My official last day in the office is September 29th, making me a full-time Stampin' Up demonstrator as of October! And I've already got a super busy schedule lined up. I'm so excited! So today, the Teach Me Tuesday Video is focused on shaker cards. I sort of got addicted to making them a couple of weeks ago after doing one for my Stamp of the Month class. Then a friend saw it and wanted a class featuring all shaker cards -- so I made four more! 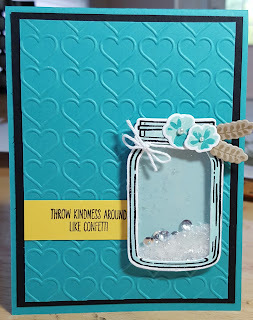 So today, I'm going to share with you how to make two different types of shaker cards. Here is the first one that started my shaker binge. 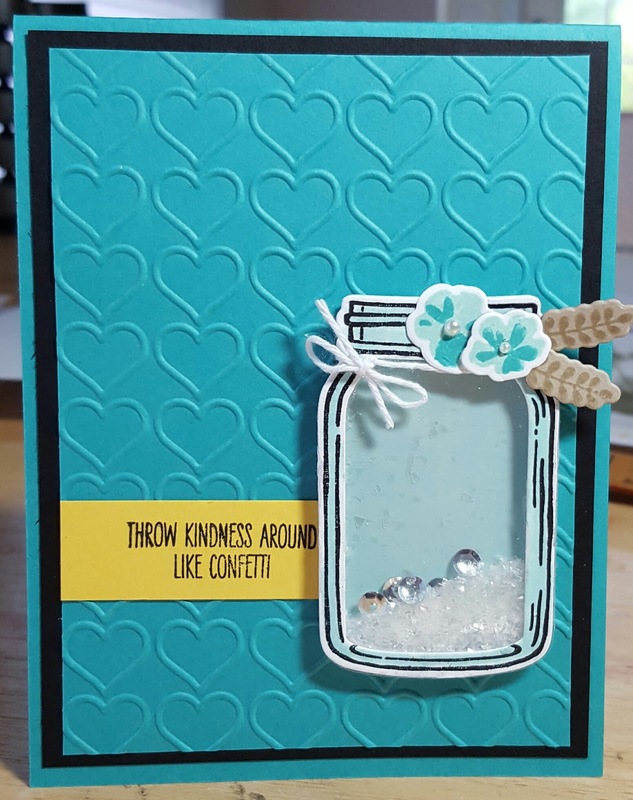 It features the Jar of Love stamp set and the coordinating Everyday Jars framelits. 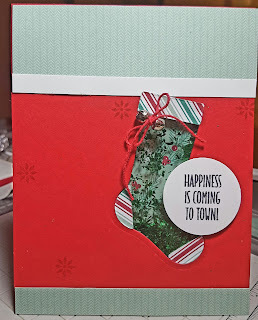 I also used Crumb Cake (#120953), Bermuda Bay (#131197), Basic Black (#121045), Daffodil Delight (#119683) and Whisper White (#100730) cardstock. Congratulations! Best wishes for every success in your new full time stamping endeavor!